Both of these paintings will hang together or apart. I have a friend that gave me the slate. It is heavy but nice. 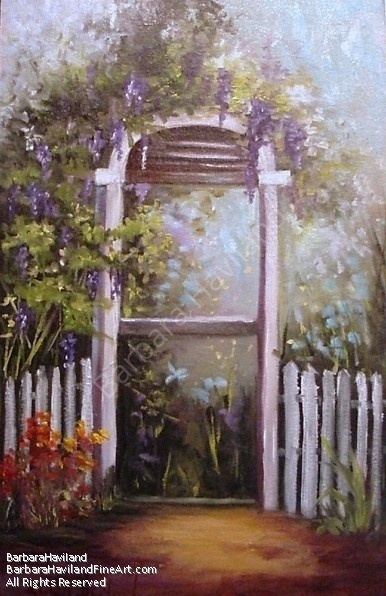 I used to have an arbor with Wisteria on it. The painting was done to remember it. It is on a 16×10 canvas panel and is available for your collection. Signed and ready for framing. 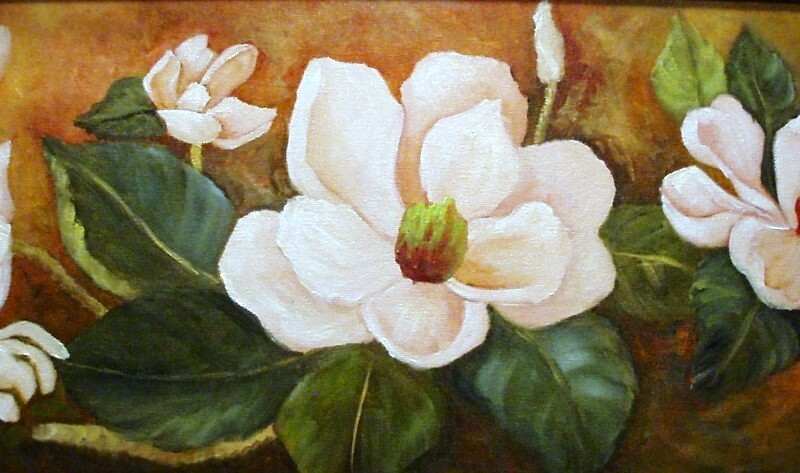 24″x 18″ done in oils on a gallery-wrap canvas. Thanks Morin for letting me paint your pond house. Can you see the bird of paradise? This is what the ladies and gentlemen saw. Fun day. I came out with 3 paintings. This painting is another one I did on Saturday. Such fun and I love this technique. I was in a bright mood and that is how I picked my colors. Measures 14 x 11 on a canvas panel. Can be shown in any direction.